Montauk (MTK) aka 'The End' by locals has long been a working fishing village for a couple hundred years with visitors flocking there seeking the big deep sea catch. it's quite quiet nine months of the year. But MTK comes alive for 12 weeks during summer season with population influx arriving globally to surf, swim, horseback ride and enjoy the seafood! I've been visiting Montauk since childhood and I have to say it hasn't changed much. With such a unique backdrop, I've even taped several TV shows over the years there. At 110 miles east of NYC it is virtually 'The End'—which brings you to one famous lighthouse. The Clam Bar: So worth the stop. 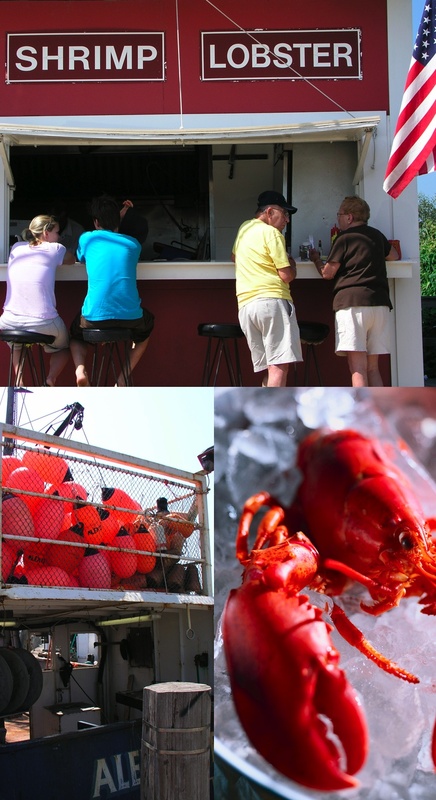 Five minutes before you arrive in Montauk, The Clam Bar on the “Napeague Stretch”, has no real address, on the left—just a big sign that says CLAM BAR with yellow umbrellas and all outdoor seating. Real fresh seafood, simply prepared. Bring cash, no credit cards. And as the menu board dictates, please keep children seated! John’s Pancake House: You guessed it, go for the pancakes; you’ll know you found it when the biggest hot cake walks by your table. 771 Montauk Highway. Long lines in AM, so get there early. No website, first stop on the left side entering Montauk village.